A joint venture exists as a for-profit business owned and operated by two or more individuals or businesses. Partners in a joint venture must separate business funds from personal assets. Before establishing a bank account for a joint venture, the partners should check the rates and fees of at least three financial institutions, comparing monthly minimum requirements, debit- and credit-card policies and miscellaneous fees. Before establishing a business bank account for a joint venture, compare amenities such as online banking and bill-payment solutions. Visit the joint venture’s bank of choice. Speak with a platform officer or banking specialist about the joint venture's needs to determine the business checking account that best suits those needs. Present the joint venture’s employer identification number, or EIN, to the banking specialist to establish the account. 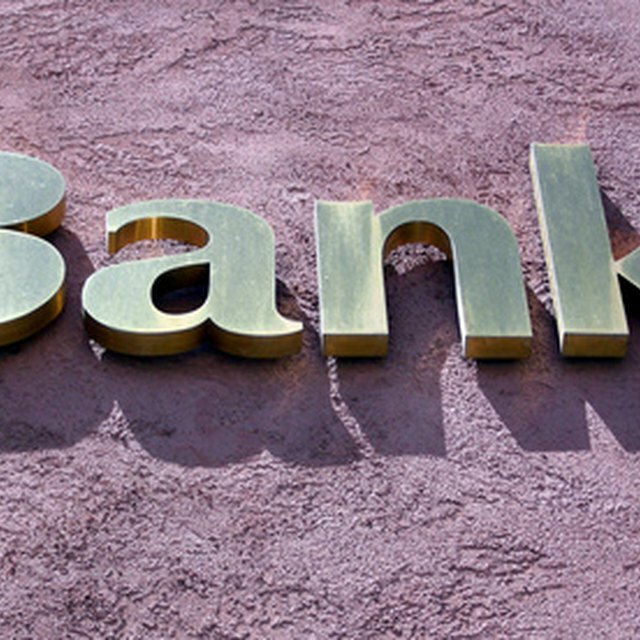 The bank uses the EIN to identify the company for banking purposes; the number will appear on statements and correspondence from the bank. Furnish a copy of the company’s joint-venture agreement, which indicates the rules and regulations used to operate the business, to the bank. In addition, if the venture has a fictitious business name, it must be registered; present that certificate to the bank as well. Verify the identity of each partner who has the authority to use the joint venture’s bank account. Present a driver license or state-issued identification card as proof of identity. A partner may be able to present a military ID or a passport to verify his identity. Some financial institutions may require presentation of a current utility bill, a credit card or a Social Security card as a secondary form of identification.